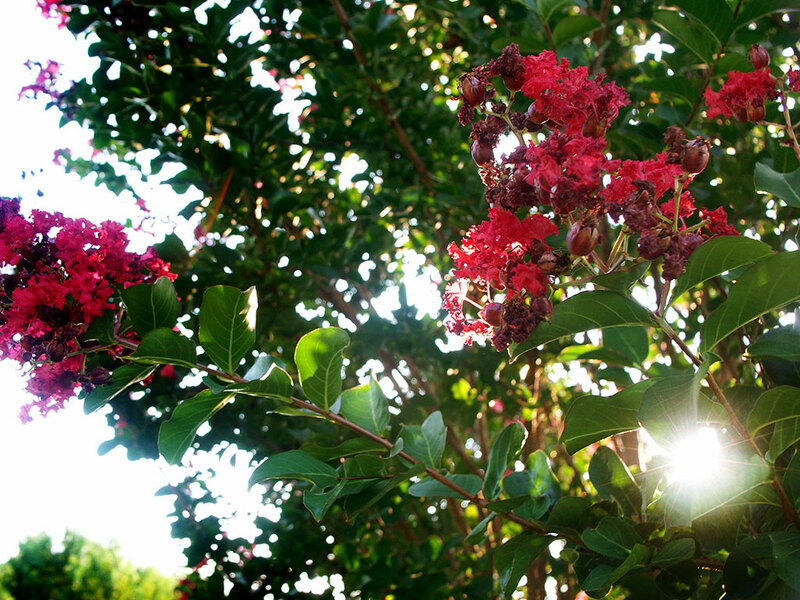 One of the crepe bushes in our front yard shines in late afternoon sun last night. Abby and I planted these nearly 10 years ago. 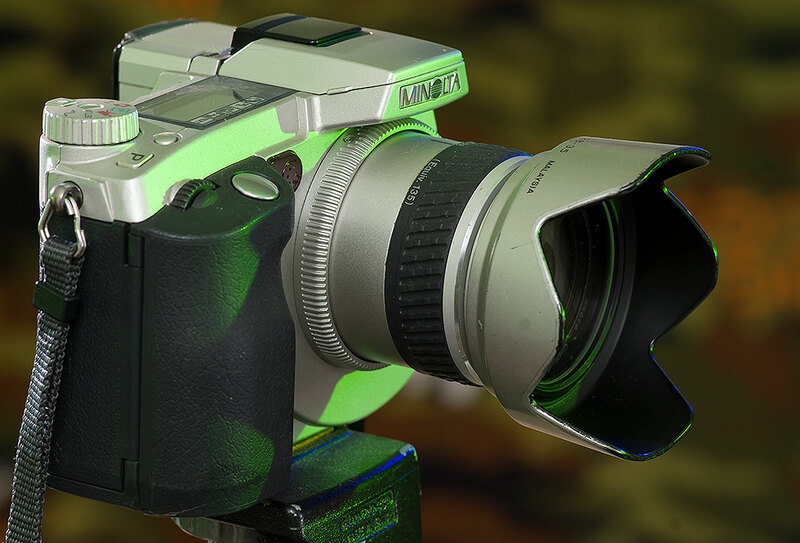 For last night’s imaging, I grabbed by 15-year-old Minolta DiMage 7i. Despite its antiquity, it gives a look I have always loved, particularly in the evening. Summers are shorter. When I was a kid, they seemed like three long months of building dams in the creek and eating Cheez-Its. That might still be true for a handful of reclusive nerds, but if you are into anything at all, like athletics or student publications, you had about ten minutes of summer vacation. 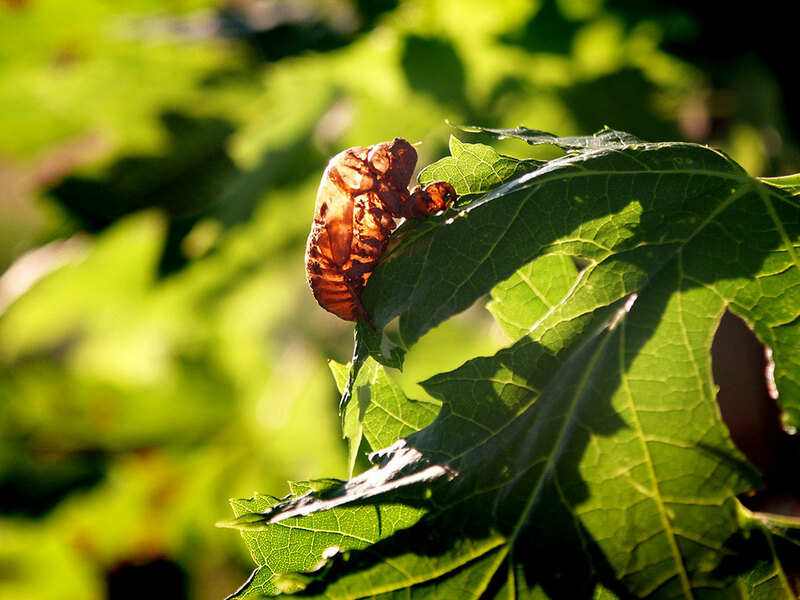 A memory from childhood that is a sign of August: cicada skins. My summers are short in terms of activities, but right now, the top of August, is very slow. That will come to an end shortly; my first high school sports media day, Ada softball, is tomorrow, after which it is, in effect, fall. Though most of them are at the end of their lives, the Rose-of-Sharon lining our driveway still make a few gorgeous blooms like this one last night. 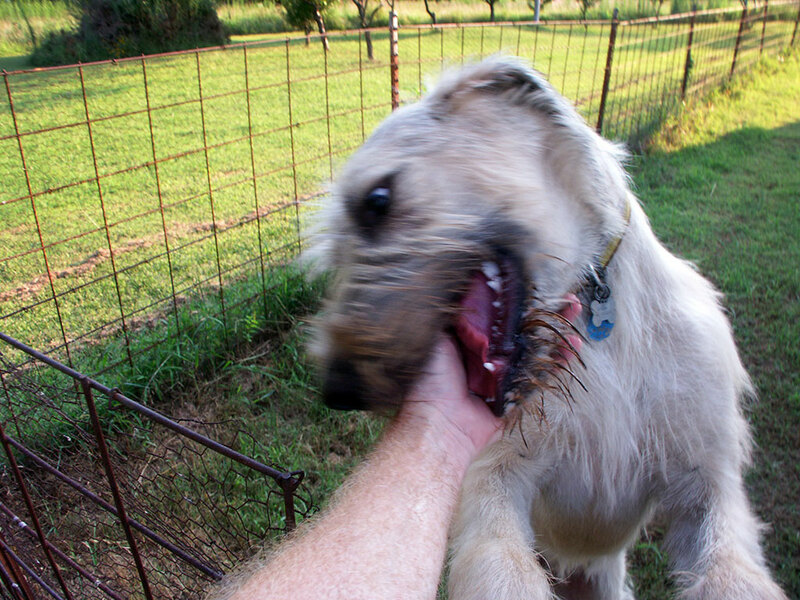 Hawken the Irish Wolfhound gives me his equivalent of a handshake, a slobbery mouth on the wrist. This August is being unseasonably cool. There are no 90ºs in the current forecast. I’ve been taking advantage of that by working outside. 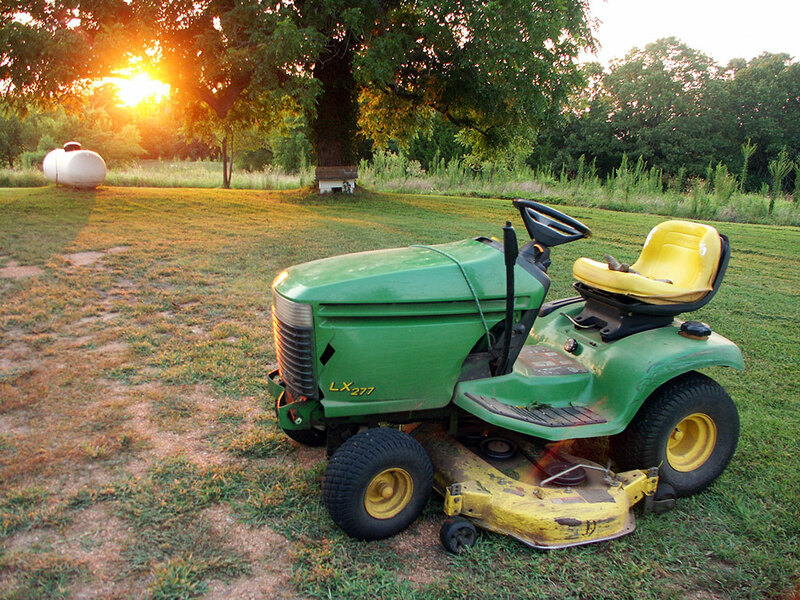 With decent rainfall, mowing is a repeated necessity; keeping the grass spurs in check is extra-important since I am walking Hawken the Irish Wolfhound every day. My efforts over the years to shape our small patch of the world have paid off. Trees we planted years ago are huge and healthy. 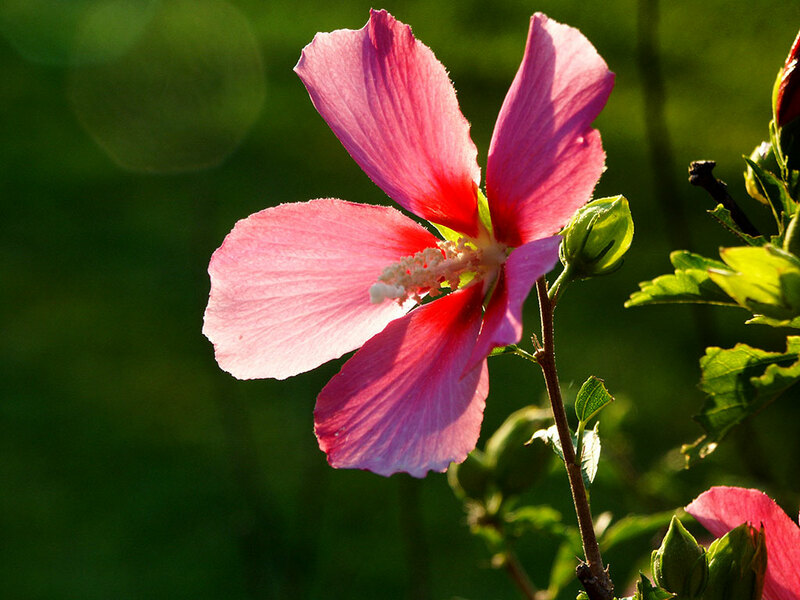 Flowers are blooming. Grass is green. Who I work outside during evenings like last night, I am profoundly grateful for our lives here on our green patch in Byng, Oklahoma. Great writing. You are equally talented with words and pictures. My summer still has three and a half weeks to go — till the eldest child returns to school. And then after that, I can expect 6 more weeks of summer, before it’s too cool to swim. But as usual in such a warm climate, I eagerly anticipate autumn. When did we ever eat cheezits?